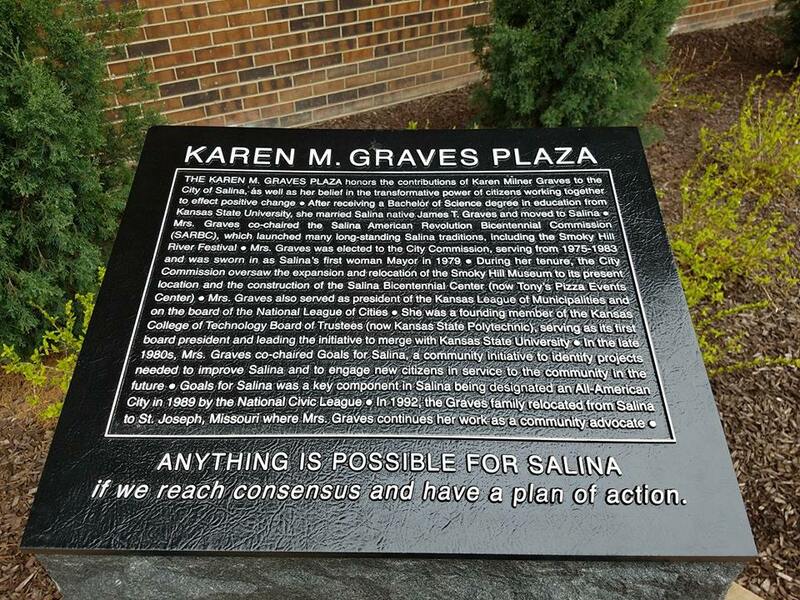 Karen Graves served on the Salina City Commission from 1977-1983, including a term as Salina’s first woman mayor in 1979-1980. 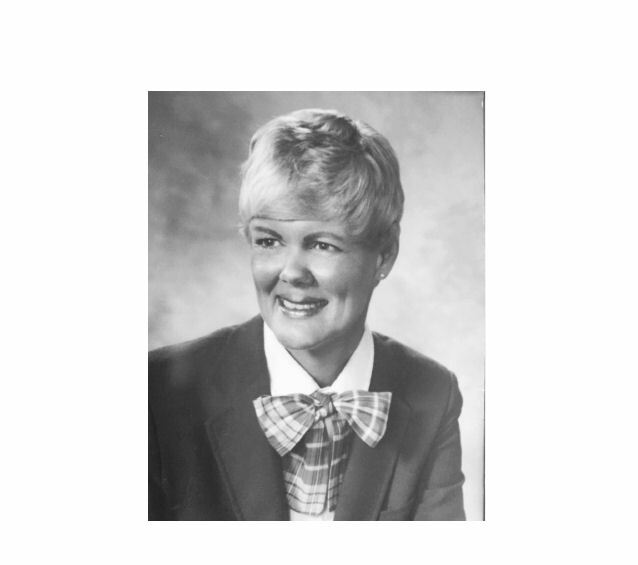 Graves was Salina’s second female city commissioner and first female mayor. 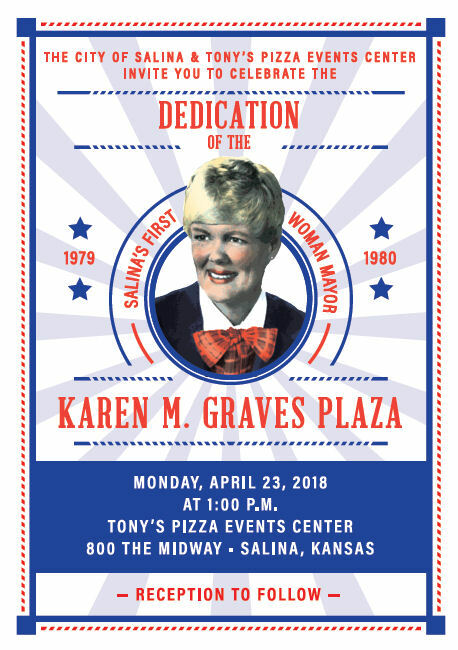 During her time in city government Graves was part of the expansion and relocation of the Smoky Hill Museum to its present location, and a part of the Salina Bicentennial Center project, now the Tony’s Pizza Events Center. 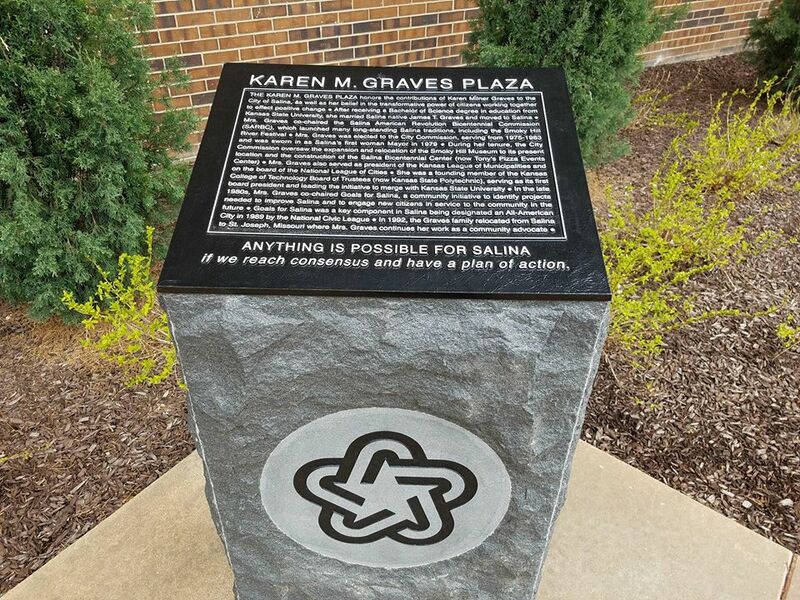 Prior to her time in city government, Graves co-chaired the Salina American Revolution Bicentennial Commission. 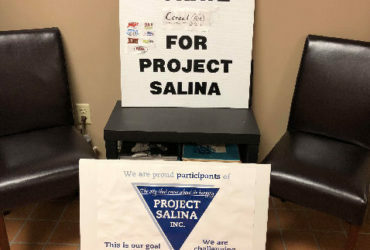 The organization launched many long-standing Salina traditions, including the Smoky Hill River Festival. A pedestal and plaque honoring graves have been in place for about a week. They will be formally recognized on Monday. A dedication ceremony will be held at 1 p.m. Monday at the site. 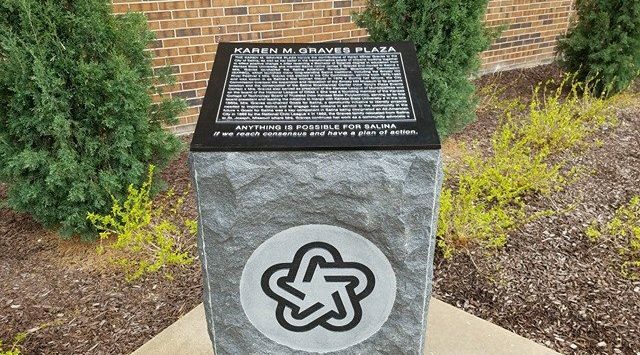 The public is invited to attend both the dedication, and a reception to follow in the Tony’s Pizza Events Center lobby with Graves and her family.